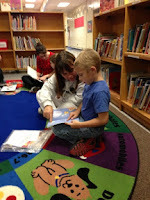 Last Thursday my class participated in our first Community Read. I was talking to my good friend Karen Lirenman on google hangout a couple of weeks ago and she was sharing pictures of her first Community Read. I loved the idea and I asked her if it would be okay if I tried it out in my room. She said, "of corse." I immediately wrote up a letter inviting the parents into my classroom on Tuesdays and Thursdays at the morning bell to read with their children for 15 minutes at the beginning of the day. After the 15 minutes, parents, grandparents, or whoever came to read with the children would leave and we would get on with our day. 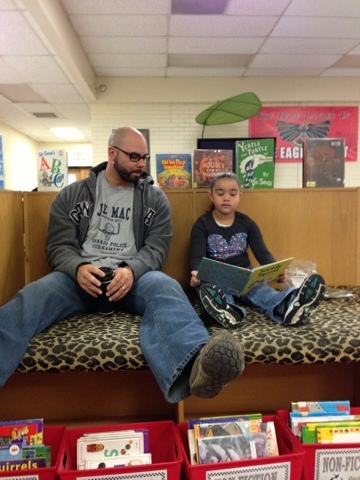 Our first Community Read was a huge success. 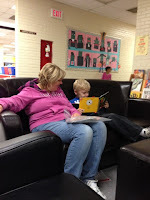 Many families came in and read with their children in our Learning Commons. 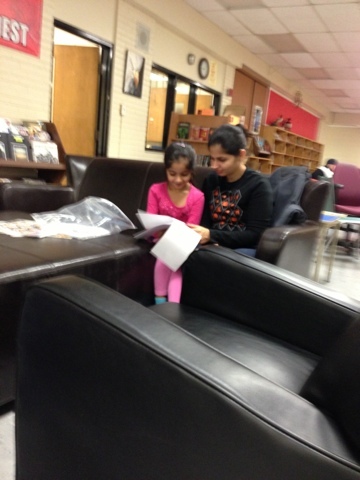 The student's that did not have family available to come, read with volunteers, other teachers and myself. 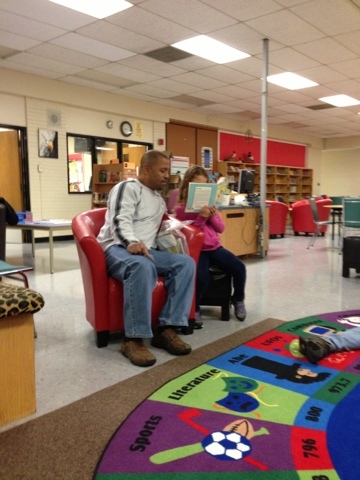 It was great having the parents in and seeing the children reading to them! I can't wait for Tuesday! Mrs. Wideen, AKA MY good friend Kristen (notice I got that right), I LOVE that you have given community read a try. It is a really wonderful experience for everyone involved and I'm sure your families will feel the same way. It's also really nice to have that connection time with them. 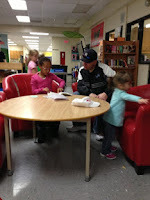 It really helps keeping the parents in the loop with their children's learning . I don't have to write a message in the planner when I can speak to them face to face. As you know I love learning and sharing with you. I love this idea you two!! I think I'll give it a try to! 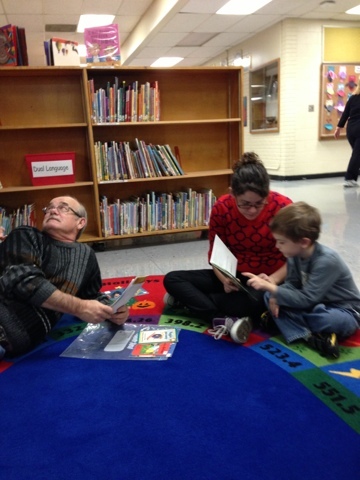 Two weeks ago we walked over to a nearby retirement residence and enjoyed some reading time there.But I also LOVE this idea to include the parents/grandparents! Excellent! I'll try too!